What’s going on around you ! F.A.I.T.H. 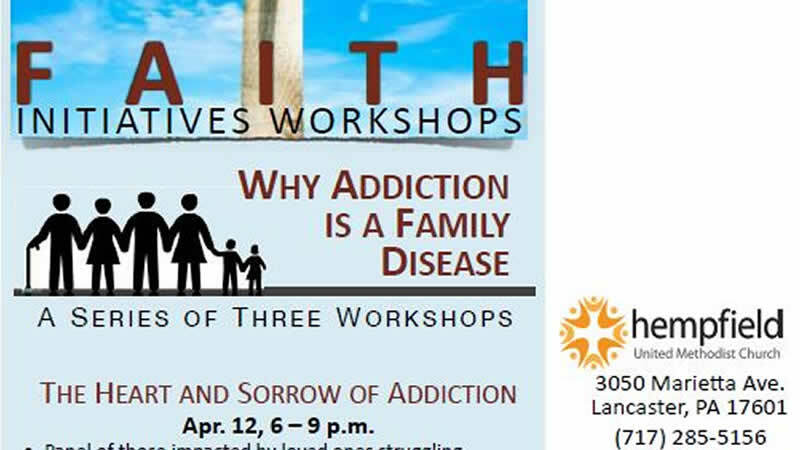 Initiatives – WHY ADDICTION IS A FAMILY DISEASE – What is Addiction? Hempfield United Methodist Church	3050 MarieVa Ave.
F.A.I.T.H. Initiatives – WHY ADDICTION IS A FAMILY DISEASE – What Can We Do? GOAL Project is a 501 (c) 3 Christian organization committed to helping others offer the compassionate response of Recovery to the disease of addiction.